One of the biggest luxurious automobile brands in the world, BMW has several types to its credit. 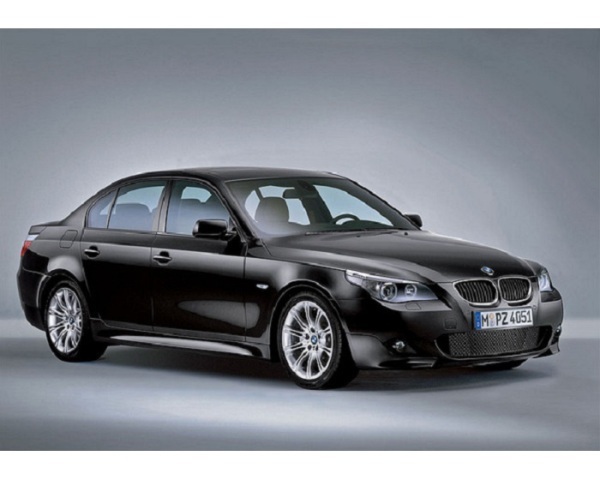 Surf through this article to find out the different kinds of BMW cars that the company offers. Nicknamed as BMW, Bayerische Motoren Werke is, undoubtedly, one of the finest and largest automobile makers in the world, ever since its inception in 1916. A vague look at the front grille, where rests the blue, white and black logo, is all that is needed to instantly distinguish this luxurious and superior brand from the rest. Owning one of these superbly-designed German beasts is sufficient to title you as a filthy owner of this high-priced possession. Right from luxury coupe to SUVs, race rally cars to Formula One automobiles, BMW offers a plethora of models to choose from. And interestingly for those you who didn’t know, BMW produces a good range of bikes as well! Glance through the lines below to know the different types of BMW cars that the company manufacturers. Launched in 2004, the 1 Series is BMW’s smallest car, available in coupe/convertible and hatchback forms. This line of small cars has many structural, chassis, powertrain, hardware and electronic elements that are common to the 3 series as well. The series initially debuted with a 5-door hatchback and later graduated towards a 2-door coupe version. This series is priced on the grounds of the MINI and the 3 series. Tagged as BMW’s best-selling model, the 3 series, which was launched way back in 1975, still accounts for about 40% of the company’s car sales. Right from its journey as a station wagon to coupe to 4-door sedan to 2-door convertible versions, the 3 series has now been termed as BMW’s most reliable compact executive car. The 3 series is a mid-ranged priced vehicle. A little higher than the 3 series is the 5 series. Launched in 1972 as a mid-size executive car, today, one can find the 5 series either as a 4-door sedan or station wagon. BMW’s second best-selling model, it offers its customers a choice of 7 engines. In fact, the M5 Motorsport version is outfitted with a 507-horsepower V-10 capable of running 155 mph. The 6 series is BMW’s high-end luxury line that ran from 1976-89 and returned back again in 2003. Designed as a sports car, this grand touring version is offered as a coupe and convertible. Equipped with 507-horsepower V-10 and 286-horsepower 3-liter Twin Turbo Diesel, the 6 series delivers high-class performance enough to be competed with those of Mercedes-Benz E-class coupe, Audi A5 and Jaguar XK. The 7 series is BMW’s flagship car, offering a line of ultra-luxury and posh vehicles. Often termed as the ‘real car’, the 7 series is the version that the company is most celebrated for. Available only as an executive sedan, the 7 series was introduced in 1977 and runs on gasoline and hydrogen fuelled combustion engines, thereby preventing air pollution. Launched in 1999, the X5 is a luxury crossover SUV. It was the first SUV under BMW’s cap that was termed as “Four-by-Four” (4x4). Despite its huge size, the X5 is known as a Sport Activity Vehicle (SAV), rather than SUV simply because of its on-road ability. A compact crossover SUV, the X3 was launched in 2003 as a passenger car with truck-like features. Powered by either gasoline or diesel, the X3 is an all-wheel drive. After X5, the X3 is the second vehicle that BMW markets as SAV (Sport Activity Vehicle). Succeeding the popular roadsters, such as BMW Z1, BMW 507, BMW Z8 and BMW Z3, came the new 2-seater sports roadster known as Z4. A rear-wheel drive sports car, Z4 was launched in 2002. The model was modified in 2008 as a coupe-convertible with a folding hardtop. The Z4 offers a top speed of 155 mph and can touch 62 mph from a standstill in just 5.1 seconds.